Come Saturday 12th of January, Phatiah will be stepping up her act as she performs in her debut show of 2019. 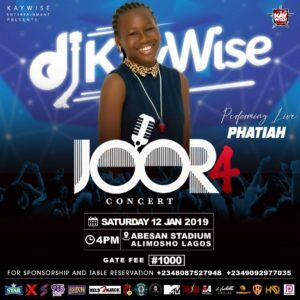 Coming from a scintillating 2018 where she wooed teeming music lovers with her music tracks and live performances, she will be performing live on stage at DJ Kaywise biggest show on the Lagos mainland. 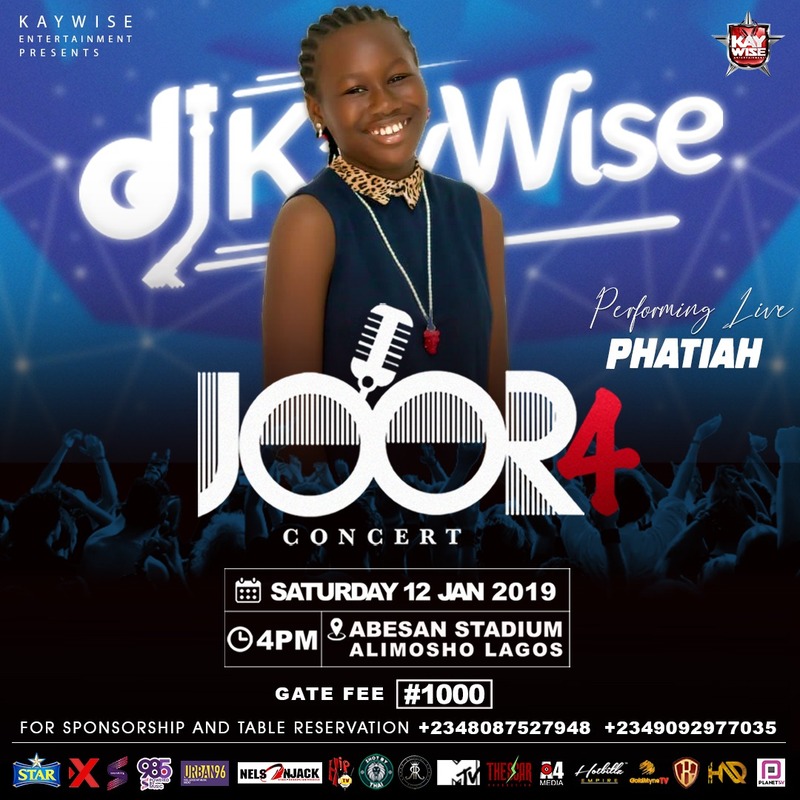 It will be a gathering of music stars with notable artistes such as Olamide, Tiwa Savage, Small Doctor, Teni, Seriki, Zlatan, Danny S, CDQ, DJ Enimoney, Bmystireo, Idowest, DJ Neptune, Victor ad, Niniola, Didi, Oladips and others, billed to perform at the show. PHATIAH: HARD WORK JUST GOT REWARDED. Fans can’t wait to see the new dimension and the next level Phatiah is taking her music to. Come on!!!!! !